The GM 6.5 Diesel PMD/FSD fior the Stanadyne DS-4 Injection Pump is a signal intensifier - the engine PCM sends a signal to the PMD which is then amplified by a pair of 500 Watt transistors as Pulse Width Modulation to control the fuel solenoid opening amount. This amplified signal then acts as a driver for the fuel solenoid. 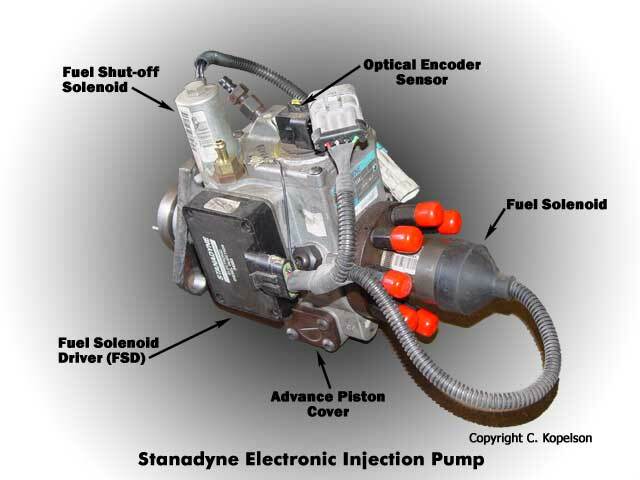 The PMD is mounted to the driver side of the Stanadyne DS-4 injection pump centered in the valley at the front of the engine. It is extremely hard to reach on a van engine - and one can still however use a long THIN screw driver to side in and unlock the cable clip and then fish it out with a coat hanger bent with a small hook on the end. By design, the flow of diesel fuel through the injection pump is intended to cool the PMD, which produces and must dissipate a significant amount of heat of BOTH the IP itself and the PMD especially if your inlet pump pressures are so low the Fuel Solenoid has to hold the throttle plate open with any extended duty cycle. If there are sufficient IP pump INLET fuel pressures - then the top cavity of the IP is full of recirculating fuel and that fuel flow is a cooling medium is believed to be effective under most all conditions, but fails to provide sufficient cooling in relatively high ambient temperatures. As shown above it is a large tank area, but it also does not address the heat soak effect experienced when an engine at operating temperature is shut down. The repeated heating and cooling cycles experienced by the PMD and its inability to dissipate heat in certain conditions is generally accepted as the leading cause of PMD failures. But the REAL root cause is the low pressures of the lift pump causing the PMD to have extended duty cycles - when under normal conditions the IP actually pushes the throttle open in lock step with teh engine RPM. The PMD/FSD also contains a "calibration resistor" within the connector of the module. When the wiring harness connector is inserted into the PMD connector, the resistor becomes wedged between the two. Calibration resistors relate to the maximum fuel flow rate and are available in ratings #1 - # 9, with #9 being the highest calibration available. A #5 calibration resistor is often considered the average size. These resistors can burn out on the trace - or pop open and many places mount the resister externally in the cable itself. 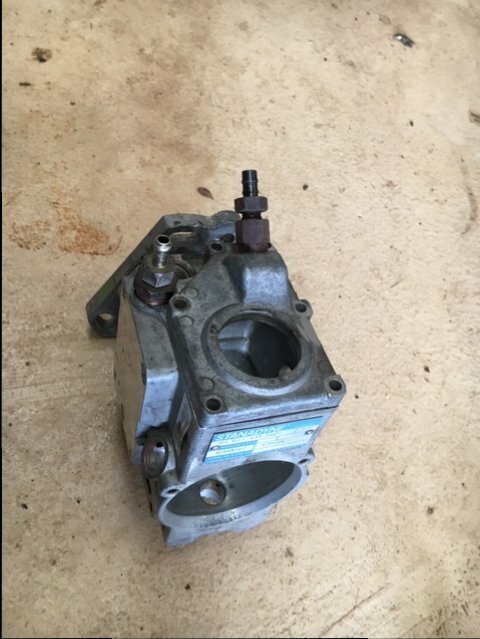 GM experienced widespread PMD failures, leading them to warranty the injection pump on the 6.5L diesel for 100,000 miles in order to maintain the support (and business) of their patrons. But it was not the PMD's which were failing - it was because GM used a lift pump that NEVER DID WORK for long at the pressures the IP required to operate properly. Symptoms of a failing PMD include, but are not limited to: hard starting/excessive cranking to start an engine, engine stalling, engine misfires, and ultimately a no start condition when the PMD has failed altogether. It can fail on a crank of the engine, meaning you can shut it off and then try to restart - and nothing works. An engine that will not restart after being shutdown at operating temperature but will restart after it has had time to cool is an extremely common sign that a PMD is failing and should be replaced. 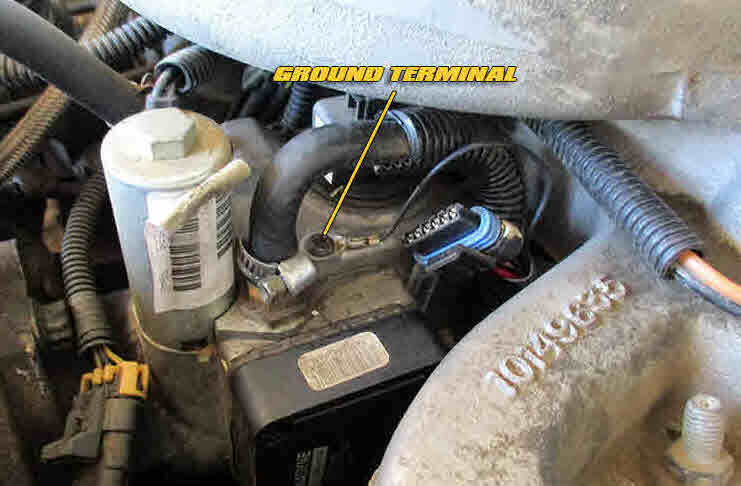 Engine misfires have been known to be caused by a failing PMD, however this is somewhat rare and a misfire condition is often due to other fuel system related problems, including a faulty lift pump or oil pressure sensor (on 95+ engines, because the electrical load for the lift pump is carried through the oil pressure sensor on those early engines.). 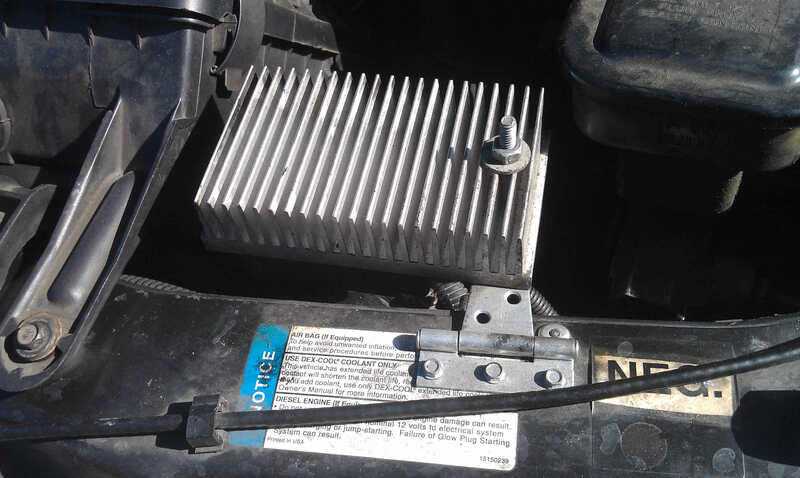 • If applicable, remove the plastic "Turbo Power" engine cover (4 bolts, 13 mm socket). • Locate the PMD/FSD on the driver side of the injection pump, which is mounted toward the front of the engine in the valley between the intake manifold runners. 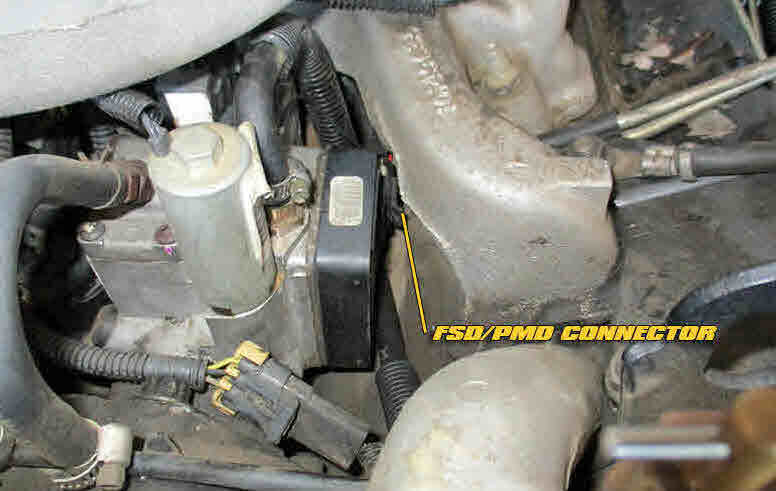 • Disconnect the PMD/FSD connector - it is located at the rear of the PMD (towards the cab). The connector retaining clip is accessible by using a long flathead screwdriver to release the clip, and a second screwdriver (or long nimble fingers) to pull the connector towards the firewall. Do not tug or place strain on the wires in order to remove the connector. • Maneuver the connector upwards. A section of solid core electrical wire bent into a hook works well to grab the connector. • Disconnect the FSD/PMD ground wire using a T25 Torx bit. It's a tight fit, but a 1/4" drive bit and ratchet can reach the bolt after pushing the fuel line aside gently. • Attempt to pull the connector and wiring pigtail outwards; if the wires do not budge, you will need an extension pigtail. If you are able to free 4"-6" of slack, you should be able to reach the relocated PMD (if relocating to the same position as us). It is hit-or-miss whether or not you'll need an extension pigtail; often, the harness connector gets hung on one of the injector lines. An 3 to 6 extension is all that is necessary if you are unable to pull the harness outwards. Note - if using an extension, do not remove the ground wire - simply leave it attached to the injection pump. • Install the relocated PMD/FSD. In our case, the PMD and heat sink mount to the upper intake plenum. Removing the intake plenum bolts requires a 10mm socket. • If you're NOT using an extension pigtail (i.e. using the factory connector because you were able to obtain enough slack) attach the PMD ground wire to the heat sink. • Verify that you're new PMD/FSD has the calibration resistor installed. If there is no calibration resistor, you will need to purchase and install one. 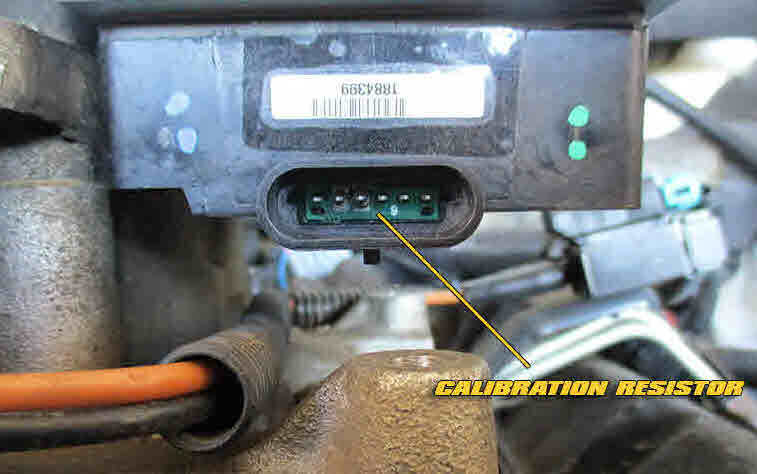 The calibration resistor relates to fuel flow and is installed in the connector on the PMD. 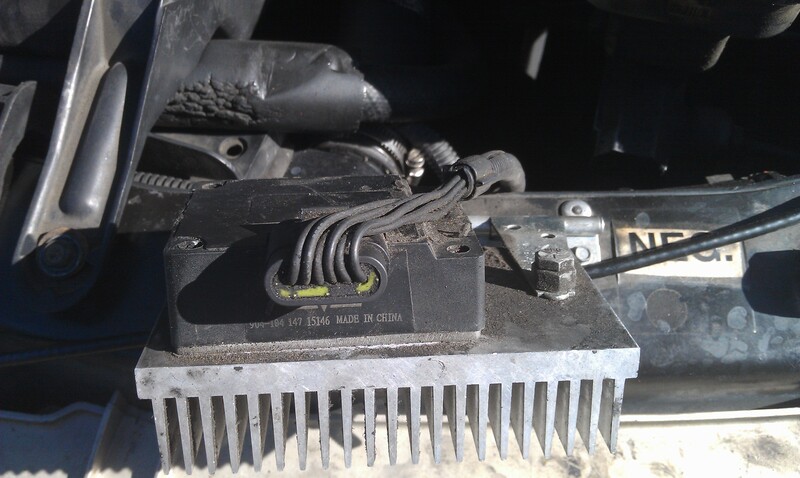 • Install the PMD harness connector to the PMD or install the extension pigtail between the PMD and factory PMD harness.